With the slew of A-list celebrities set to take center stage in July and August–Brandy Norwood, Taye Diggs, Whoopi Goldberg and Misty Copeland to name a few, this couldn’t be a better time of year for Broadway lovers. Legendary comedian, actress, singer-songwriter, activist and current co-host of The View, Whoopi Goldberg comes to the Concert Hall for one night only. 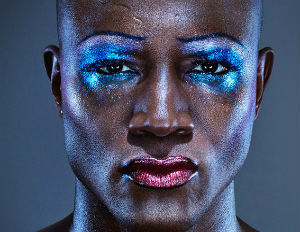 Taye Diggs is the first African American to take on the gender-queer rock singer role in the glam rock musical Hedwig and the Angry Inch, a Broadway hit since its revival in 2014. Diggs, the sixth actor to take on the role as the titular characterÂ will take over a 12-week run beginning July 22. The American Ballet Theater’s first black principal and Time 100 cover girl will make her Broadway debut in On the Town. Copeland will star as beauty pageant winner Ivy Smith, one of the women who steals the hearts of three sailors on 24-hour shore leave in New York City. During an interview, Copeland said that she had discussed acting with her friend Taye Diggs, and he had told her that after seeing all the acting she did while dancing the role of Juliet last month, he did not think she had anything to worry about. “He said, ‘I think you’ve got this,’Â â€ she recalled. Grammy-winning R&B artist and actress Brandy takes center stage as the murderous Roxie Hart in Chicago, Broadway’s longest running American musical. “Roxie is really tough, but she’s really sweet and I feel like I’m the same way. I can be really tough, and stand up for myself and speak my mind, and then I’ll bake you a cookie,â€ she said, laughing,â€ Brandy said during an interview with Vanity Fair.